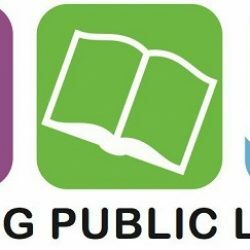 Reading, Pa – Wednesday, January 16, 2019 – Reading Public Library was awarded a $20,000 grant from the BB&T Economic Growth Fund of Berks County Community Foundation on Friday, January 11. BB&T representatives Carey Babczak and David Roland presented the check at Main Library to Board member, Maureen Dolan and Executive Director, Bronwen Gamble. The funds will support the library’s entrepreneurial and workforce development programming including the continuation of the successful autumn entrepreneurial workshops. This four session program provided a platform for the training and development of future Latino leadership through the acquisition of business development skills and networking opportunities. In addition, the grant will support the Berks Job database on the library’s website and fund resume-writing and computer classes through the library’s computer lab and mobile technology vans. Carey Babczak, Vice President and Business Services Officer, BB&T Branch Banking and Trust Company; Maureen Dolan, member, Reading Public Library Board of Trustees; Bronwen Gamble, Executive Director, Reading Public Library; David Roland, Market President, Berks/Northern Montgomery Counties, BB&T Branch Banking and Trust Company.